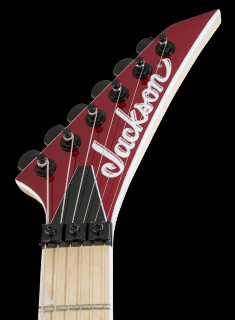 With premium features and outstanding vibe and performance, Jackson’s Pro Series Dinky™ models provide the ultimate shred experience, and the DK7Q HT is a particularly malevolent model. 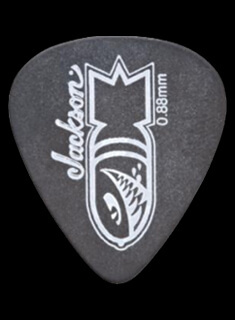 The 25.5”-scale 7-string axe has an alder body with quilt maple top, bolt-on maple neck with smooth hand-rubbed urethane back finish, rock-solid graphite reinforcement and an ultra-convenient heel-mount truss rod adjustment wheel. 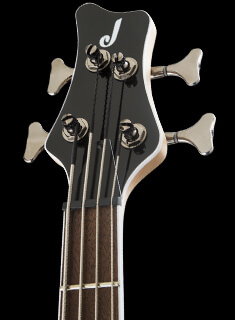 Its 12”-16” compound radius fully bound ebony fingerboard features 24 jumbo frets and offset dot inlays. 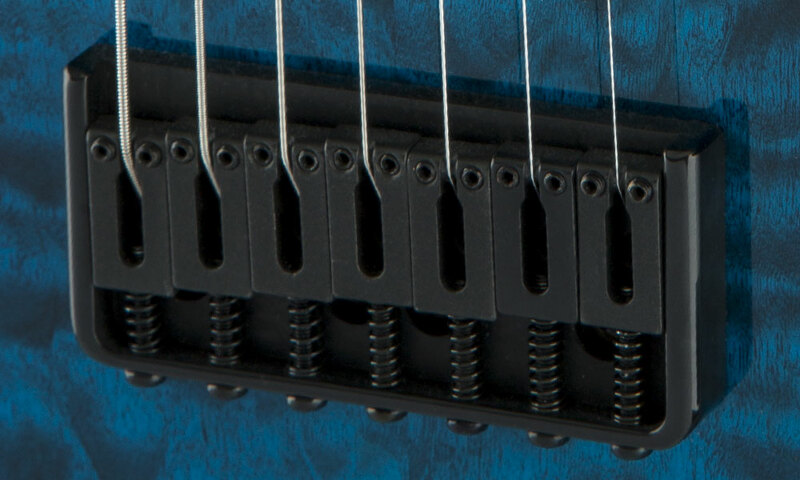 This metal machine is powered by dual direct mount Seymour Duncan® Nazgûl (bridge) and Seymour Duncan® Sentient (neck) humbucking pickups with five-way blade switching and singe volume and tone controls. Available in Chlorine Burst with a matching 7-in-line reverse headstock, the DK7Q HT is also equipped with a Jackson® HT7 string-through-body hardtail bridge and Dunlop dual-locking StrapLok® retainers. 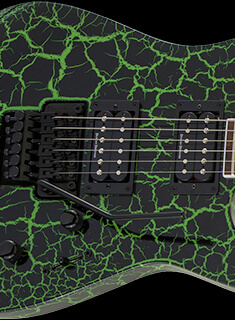 A searing set of pickups that define modern metal. 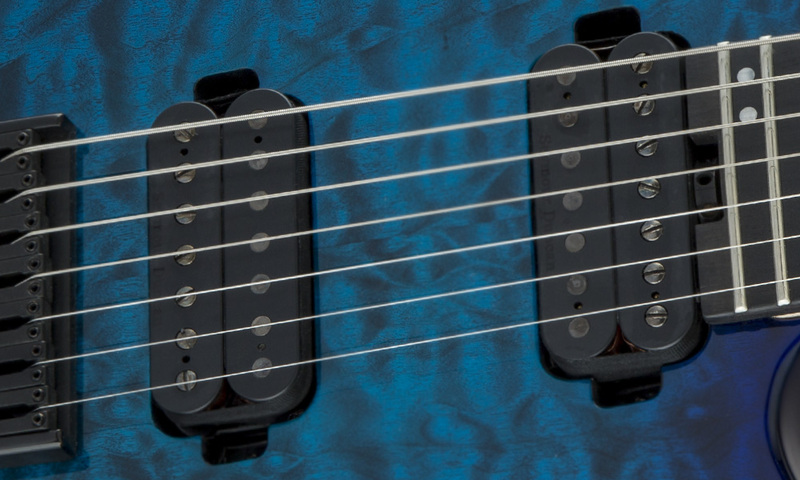 The Nazgul offers the perfect blend of note articulation, saturation and one of the most brutal “chugs” ever designed in a humbucking pickup. The Sentient brings balanced, versatile tone with pristine cleans and fluid leads for a dynamic response and wide harmonic range.